A brave and beautiful story that will make readers laugh, and break their hearts at the same time. Now with a special note from the author! He plays drums in the All-City Jazz Band (whose members call him the Peasant), has a crush on the hottest girl in school (who doesn't even know he's alive), and is constantly annoyed by his younger brother, Jeffrey (who is cuter than cute - which is also pretty annoying). But when Jeffrey gets sick, Steven's world is turned upside down, and he is forced to deal with his brother's illness, his parents' attempts to keep the family in one piece, his homework, the band, girls, and Dangerous Pie (yes, you'll have to read the book to find out what that is!). 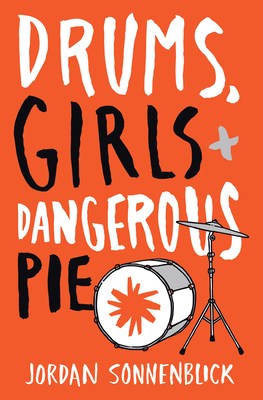 Jordan Sonnenblick is the author of the acclaimed DRUMS, GIRLS, & DANGEROUS PIE, NOTES FROM THE MIDNIGHT DRIVER, ZEN AND THE ART OF FAKING IT, and the sequel to DRUMS called AFTER EVER AFTER. He lives in Bethlehem, Pennsylvania, with his wife and two children.